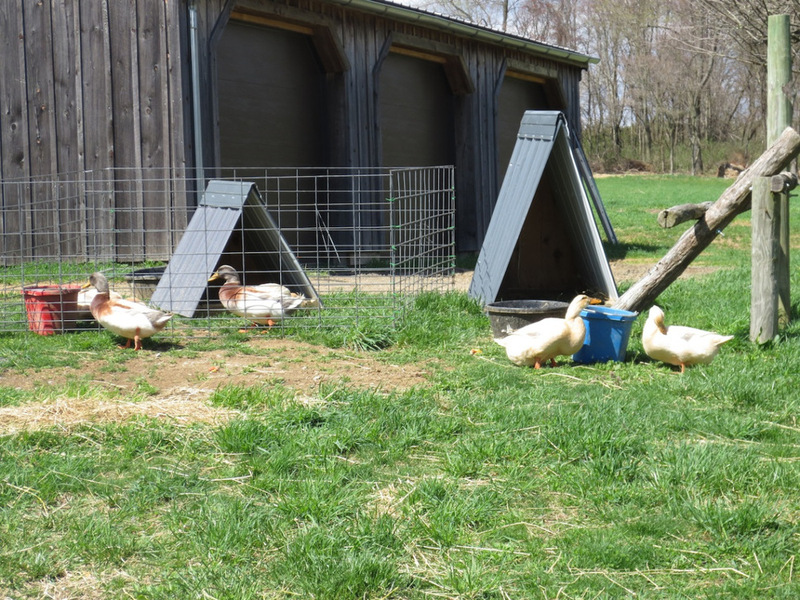 The Saxonies are the first farm animals in the orchard this spring. Because it is mating season, the dark headed males must be separated so one drake and a pair of hens are within the hog panel enclosure. Since the testosterone driven drakes prefer to keep tabs on eachother while defending their harem, the other trio remains nearby. The hog panel corral is not an ideal pen since it is awkward to move but it will work until breeding seson runs its course.